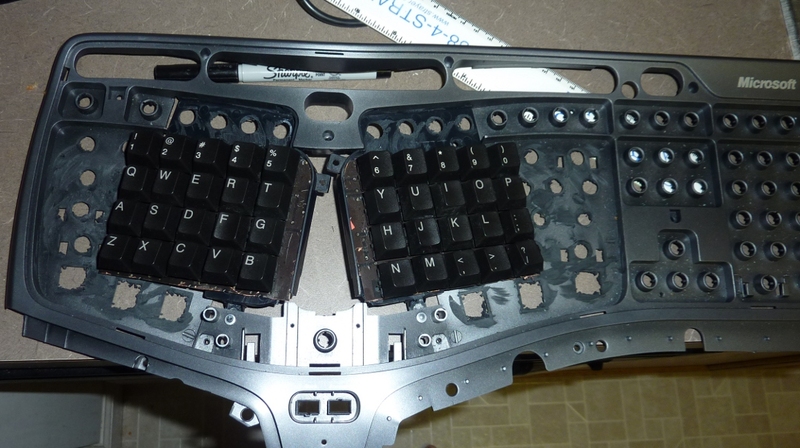 But I really wish I could find a decent ergonomic keyboard with mechanical keyswitches. I don’t think I could work without Microsoft’s Desktop 4000 anymore, which is a joy to write with. Except that my (third) one is starting to feel a bit spongy already. What I want is the same keyboard with some nice Cherry switches. Which is what this incredible gent has spent over a year building for himself. Awesome.